Anacortes Soo Bahk Do first lived in the imagination of Andy and Colette Arvidson until they took the next step and transformed their imagination into reality by turning their garage into a dojang! They truly STARTed something in their town! 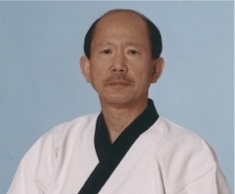 View pictures of the Kwan Jang Nim's visit to their "Garage Dojang." Listen to the Kwan Jang Nim discuss his START initiative and contemplate your own opportunities to transform your imagination into your reality! START your own teaching program!